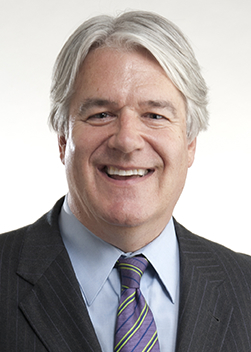 Jim graduated from UW – Madison in 1977 with a BA in Communications. After working for a time as a television producer, he started his insurance career in 1979, then joined Robertson Ryan in 1981. Jim has been a Certified Insurance Counselor for over 25 years. He is Past President of the Independent Insurance Agents of Greater Milwaukee, Inc. and The Independent Insurance Agents of Wisconsin, Inc. He is also Past President of The Rotary Club of Milwaukee. Jim serves many clients in the Not-for-Profit, Social Services and Arts sectors with a focus on D&O Liability and has specialized also in Health Care Entities and Medical Professional Liability. He also works with many manufacturers and professional service providers, often uncovering issues of Liability allocation and transfer missed by other agents. Jim is blessed with a seasoned and gifted staff of exceptional assistants who daily focus intellect, experience, loyalty and diligence on client needs. Jim is the proud father of two adult children and equally proud stepfather of three adult stepchildren (and a pretty cool stepdog). He is also a mostly-inept but very blessed grandfather. Jim is married to a patient lady who abides his random digressions and many “suggestions”. Together, they make their home on Milwaukee’s North Shore.